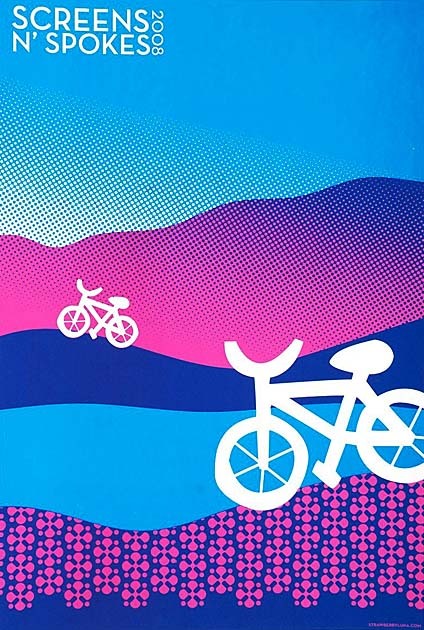 This entry was posted in News & Events and tagged art, bicycle art, bicycles, bike, bike culture, cyan, magenta, ms ride, multiple sclerosis, NMSS, overprint, purple, screenprint, screens'n'spokes national ms society, strawberryluna by strawberryluna. Bookmark the permalink. Absolutely. I’m so sorry to hear about your sister-in-law too. Best to her. If you know anyone who would be interested in the prints at the Screens’n’Spokes shop, feel free to pass on the link or blog about them. All proceeds, 100% go to the National MS Society through the Team Screens’n’Spokes fundraising team. Thanks for commenting, cheers & happy holidays. what a great blog you have- I’ve always admired your store on etsy (where I linked over from) just wanted to tell you so!